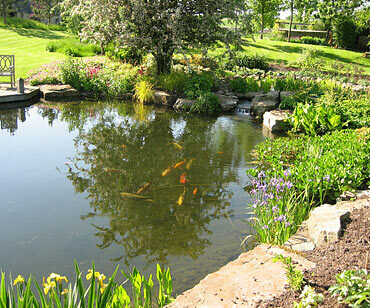 A Natural Plant-Filter Bed was added to the 130,000 litre (28,000 gallon) koi pond shown above and solved the cloudy water problems whilst also improving conditions for the large collection of carp. 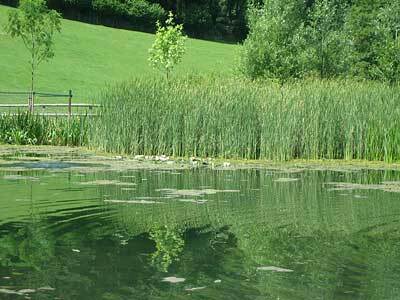 Conventional “off the shelf” filters struggle to provide effective, affordable and aesthetic solutions on very large ponds. 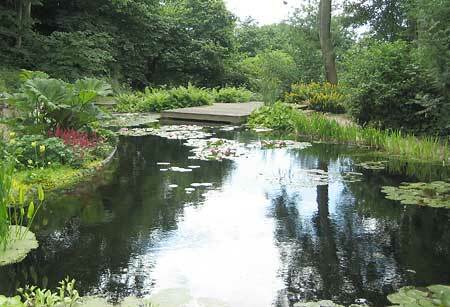 Our carefully designed filter beds use a combination of specialist aggregates, water plants, specific pump flow-rates and sediment-removal facilities to purify the water naturally and give reliable long-term results with low maintenance. We supplement with UV units where appropriate. 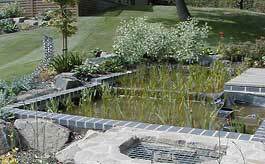 These designs can also be adapted for use in swimming ponds. 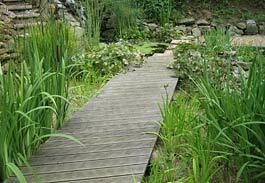 Whether on a large scale, like the clay-lined lake shown left, or on a small town garden pond, natural processes can be used to maintain clear and healthy pool conditions. 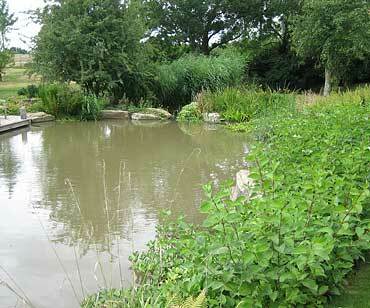 Pumps and filters are not always a necessity. Careful planting, nutrient limitation, routine maintenance, and use of biological remediation products where appropriate, can give very good results with only minor seasonal fluctuations.